Cropper soon recognized the same qualities in the secular expressions of R&B and soul, his profound appreciation ultimately informing the context of his career — one of the most singular and seminal in all of American music. 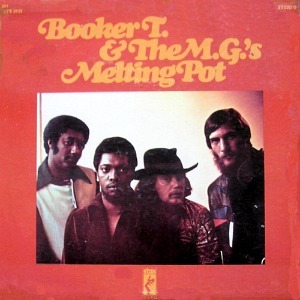 A founding member of Booker T. and the M.G.’s — drummer Al Jackson, bassist Donald “Duck” Dunn, and organist Booker T. Jones rounded out their most familiar lineup — Cropper has not only contributed to such instrumental classics as “Green Onions” and “Hip Hug-Her,” but as the group served as the Stax house band, his signature licks adorn literally hundreds of the label’s recordings by the likes of Otis Redding, Sam & Dave, and Albert King. His credentials as a record producer and composer — he co-wrote “In The Midnight Hour” and “(Sittin’ On The) Dock of the Bay,” for starters — further solidify his significance. 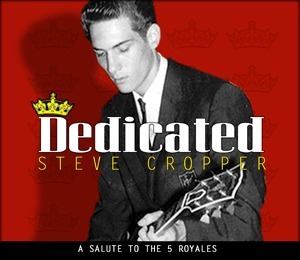 On his new album Cropper comes full circle, recalling his earliest musical enthusiasm by paying tribute to the 5 Royales and in particular the group’s guitarist, Lowman Pauling, who he has long cited as a formative influence. Those unfamiliar with the ‘50s rhythm-and-blues combo may very well recognize its songs as covered by other artists, whether the Shirelles with “Dedicated To The One I Love” or James Brown with “Think” or Ray Charles with “Tell the Truth,” among many others. How did your early inspiration of the 5 Royales come to reflect in this new album? Several people have been after me for a number of years about doing another solo record. I didn’t throw the idea out the window. Every time it was brought up I just made up some sort of excuse as to why not to do one. I’m just not big on being the solo guy and up front and all that sort of stuff. But [Jon Tiven, producer] called me and he says, “I know you’re not really into doing a solo record, but what if you did a tribute to the 5 Royales?” Boom! A light came on…What we’d decided to do was both of us would sit down with the titles of the songs that we knew and come up with a wish list of who we would like to hear sing these songs. And that’s how we arrived at what the album is. So it’s his influence filtered through your aesthetic? I don’t copy everything note for note, but where he played a lick that I felt was really vital to the melody and the feel of the song, I tried to come as close to that lick as possible, the way he intended it originally. I wasn’t there, so I have no idea if he wrote that stuff at home and went into the studio and did it or [if] he wrote the songs and then went in there, like I’ve done, and ad-libbed and come up with some lick that everybody says [about], “Wow, where’d you come up with that?” “I don’t know. It fell out of the ceiling.” [Laughs] So without him being alive to ask him at this point in time, I really wouldn’t know. I never did get to meet him. I saw him play one time and, man, that was enough for me. You did get to see him play live? What set R&B and soul music apart as something you wanted to play? The basic root of it is it’s just feel-good music. I call it feel-good music. One of the purposes of what we did at Stax production-wise is we took blues stuff… I’ll tell you, a great example is Albert King. Here’s a guy who’s been singing blues all his life — probably had never seen a royalty check in his whole life, probably been cheated out of everything he tried to do — and we brought him in there and put something behind his music that made it feel-good music instead of this sort of down-and-out blues stuff. Now, there’s nothing wrong with down-and-out blues, but it tells such a negative story about life. And we were more full of life and wanted everyone to be happy. Get up! Dance a little bit! Do something! I think the whole enthusiasm of Stax and what Stax stood for was just manufacturing feel-good music, [to] kind of make the artists and the record buyers and the fans, make ‘em feel good about themselves and about the music. You’ve always projected such a positive and ambitious work ethic, going back to the days at Stax. You just seemed so committed to it. What informed that? I guess my dad… I grew up on a farm, so you’re up bright and early. You’ve got to get the chores done if you’re gonna eat that day. [Laughs] Everybody had to work. So I grew up working, and I didn’t mind doing that. There was just a lot of things to do [at Stax]. And I did, I edited the tapes at night, filed stuff and cleaned up the studio. Then I’d get up the next morning and file all of the union contracts with the union, go over there and try to get back before the 10:30-11:00 session would start. I just did those kinds of things. Then as I worked myself into writing songs, I had that to do. I would sit up all night long and write with the singers we were gonna record, and so forth. We didn’t think about it. Duck Dunn and I still had time to get up at daylight and go play nine holes of golf before we’d go to the studio. [Laughs] It was crazy. I’d write all night long, go home, sometimes lay down for an hour or two. Usually I’d just come home and hit the shower and turn around, start again. 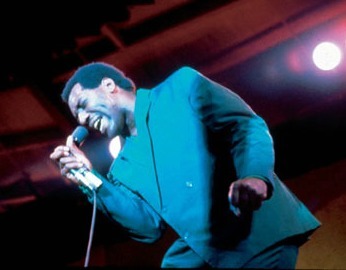 When Booker T. and the M.G.’s backed Otis Redding at Monterey, what was your reaction from the stage when Otis walked out? Mick Jagger’s in the crowd. Yeah, it was phenomenal. So everybody came back to the States with a little bit different attitude than the one we left with. Whether it was good or bad I don’t know. So I don’t think we went to Monterey expecting anything extra, but we knew we were closing the show; basically we knew Otis Redding was the star of the show. So we kind of figured there’d be some sort of big reception. I didn’t know and I don’t think anybody else knew either that we were actually making history of [it] being the first big rock festival. Do you think Otis knew there was a lot riding on that night? 44 years on now since his death, more and more people consider Otis Redding an icon — arguably an abstract one in some respects — but you knew him as a man. I lost a friend and a family member. Time doesn’t really change that. The emotions are still there. It took me at least from that time — that was ‘67 — until about ‘73 or ‘74 before I could actually sit down and listen to any Otis music. It’s just very difficult. I had a manager friend one night who said, “You’re gonna sit down and we’re gonna listen to some Otis music.” And I went, “No we’re not.” And he said, “Yeah, we are.” It was just something I didn’t want to… The music is great. If I could separate the man from the music it would’ve been real easy, but I couldn’t do it without getting emotional about it. Now it’s like, yeah, I can get into Al Jackson and some of Duck’s licks and Booker, listen to what we did and remember the session, and sort of listen separately a little bit. If I just listen to Otis then it becomes another thing. You had to finish “Dock of The Bay” right after losing Otis. How were you able to reconcile the task at hand with your own grief? Did you have to add any licks or play anything else on the track? No, I already had it done. What I did add to it was the seagulls and the waves. It’s really not anything that Otis and I talked about. Otis never heard that. We had lived with the song about two weeks with the track as you know it. We had talked, “Boy, this song would really be good with some backgrounds.” I said, “Well, I’m producing the Staple Singers. Why don’t I get them the next time they come in to do some backgrounds?” He said, “That’d be great.” Of course, that never happened. There wasn’t time for that to happen. I kept saying when I was mixing it, “It really needs something else.” We already had horns on it. I had the guitar licks on it. It was pretty full musically, with the piano and everything. I played two guitars on it; I played the acoustic on the track and I overdubbed the guitar fills later. But I had already done that; I did the guitar fills on [the previous] Friday afternoon, Friday evening. Otis popped his head in the studio. I was just setting up mics in the control room to set up my amp and do these overdubs. He said, “I’ll see you on Monday.” I said, “Okay, man.” But the only thing I added was the waves and the seagulls. I’d just got that idea. I had to get something to eat anyway, so I called a buddy of mine at a jingle company, Pepper-Tanner, and asked him if he had a sound-effects library that might have some seagulls and some waves on it. He said, “Yeah, come on over. I’ll find you some.” So he did. I stopped and got a sandwich; I think I stopped by Leonard’s Barbeque and picked up a barbeque and took it in the control room, finished the record. How did Stax come to recognize that you all were not just making music that people would appreciate and enjoy, but also music that informed the Civil Rights movement? The music took on a greater context and a greater meaning than that of three-minute pop songs. Yeah, it did, but I don’t think that was the original initiative. I don’t think we ever thought we’d be successful at what we were doing other than at the time. We were very organized in terms of… We really studied the demographics, because each college that we’d play — Booker T. and the M.G.’s, we played a lot of colleges, fraternity parties, and so forth — had their own dance or their own version of a dance, and they were all different names. That’s where all these difference dances came from: the monkey-time, the jerk, the boogaloo. Al Jackson was really keen on studying what the kids were dancing to versus what we were playing. And so when we hit the studio — we’d go out on weekends, a Friday and Saturday night, come home on a Sunday, be back in the studio on Monday — Al would go, “When we played such-and-such, they were doing this kind of dancing.” So we would form the new music based on what we’d seen over the weekend. Demographically we really did study our audiences to find what would be good here, what would be good there. I think we really had a handle on saying, “This song would be really good in Chicago. This song would go over really well in DC. This one here would probably do better out on the West Coast.” We sort of knew how to design our promotional strategy. We were very keen on that. As far as what you're talking about, I don’t think any of us ever knew that the music would live past just the life of the record. We were making records, not history. Even at the time, though, people were using songs like “Soul Man” as empowering anthems. They were. And then later, with the Watts-Stax movie, with stuff that Isaac Hayes was doing. He and I produced the Staple Singers, and we wrote and produced a song called “Long Walk to DC,” which is all about the March on Washington DC. So we were really writing about the times. And there again, we hoped at that point that the music would change things or help things along, but we didn’t know it would lend itself to the future. Do you ever give thought to what your legacy will be in the decades to come and how people will appreciate your contributions to music? I don’t think about that. I guess a lot of groundwork’s been laid. The music speaks for itself. Dedicated: A Salute To The 5 Royales will be released by 429 Records on August 9. 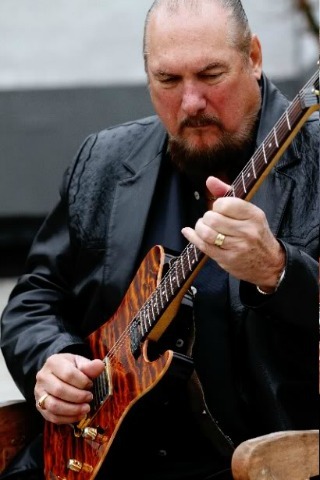 For more information on Steve Cropper, please visit the artist's official website.